It’s Always Sunny in Philadelphia season 13 has come to a dramatic end, and fans are already eagerly looking forward to season 14. The gleefully depraved sitcom was renewed for a 13th and 14th season back in 2016, which will make it one of the longest-running live-action sitcoms of all time – impressive work for a show that once dedicated an entire episode to the mystery of who pooped the bed. Season 13 of It’s Always Sunny has taken the denizens of Paddy’s Pub to the Super Bowl, seen them navigating the messy politics of gendered bathrooms, and even helped Mac find his gay pride in a stunning season finale that saw Rob McElhenney training for months in order to learn an energetic interpretive dance. The dance, which was set to music from Sigur Rós and performed with professional ballerina Kylie Shea, struck a surprisingly sincere tone for a show that usually revels in irreverence. Although the response from fans has been mixed, It’s Always Sunny certainly bowed out this season with something that got people talking – so what’s next for the show? As mentioned up top, It’s Always Sunny in Philadelphia scored a season 14 renewal at the same time as its season 13 renewal, so we can likely expect at least ten more episodes of degenerate behavior. 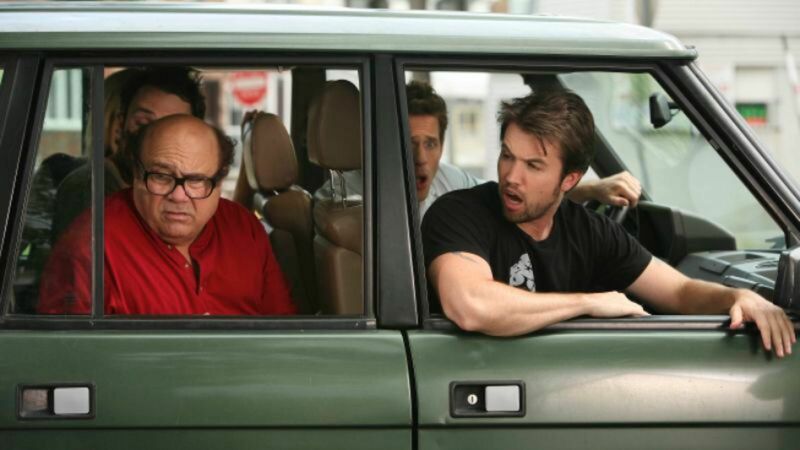 Season 13 shook things up, with series mainstay Glenn Howerton absent from several episodes and the show itself experimenting with different ideas – like Mac’s dance, an episode where Charlie is left home alone, and a “ladies reboot” of the gang’s attempt to beat Wade Boggs’ drinking record on a flight. The show’s writers keep finding creative ways to make things more bizarre and depraved, so we can probably look forward to even more weirdness in season 14. When Will It’s Always Sunny in Philadelphia Season 14 Premiere? Due to the cast’s other commitments, there was a particularly long wait between seasons 12 and 13 of It’s Always Sunny in Philadelphia, which moved the show back into the fall lineup. We still don’t know exactly how the filming schedule for season 14 will shake out, since McElhenney said in an interview with Deadline that he is currently working on a mystery show for an upcoming streaming platform (probably one of the shows coming to Disney Plus). However, optimistically we can expect It’s Always Sunny season 14 to premiere on FXX in September 2019. Less optimistically, we could end up having to wait until January 2020. It’s Always Sunny in Philadelphia doesn’t have much of an ongoing storyline, since part of the show’s appeal is that the characters are stuck in the hell they’ve created for themselves and can never escape. However, the recent finale does raise some interesting questions about how the status quo could change in season 14. Now that Mac has finally been able to reconcile his sexuality with his Catholic guilt, will we get to meet a new Mac whose personality is as polished as his newfound abs, or will he be the same old terrible Mac – just with newfound confidence? Moreover, can his new phase of self-acceptance survive in the face of Dennis’ ongoing psychological abuse? As to that last part, it’s currently uncertain whether or not Dennis will even return for season 14, given Howerton’s absence from about a third of the episodes in season 13. At the end of season 12, Dennis revealed that he had a wife and son in North Dakota (a result of the first attempt at beating Wade Boggs’ record), and went to go and live with them – only to return to Philadelphia at the end of the season 13 premiere. Howerton wasn’t able to appear in the whole season due to his filming commitments on NBC’s new comedy series A.P. Bio. Depending on Howerton’s commitment to his other show, It’s Always Sunny in Philadelphia season 14 may have to make do with a part-time Dennis again, or do without him entirely – though the latter probably wouldn’t work. As McElhenney told Deadline, “The show just doesn’t work without [Dennis]. We thought we could make it work and we just can’t. If you take one element out of the equation, everything falls apart.” Hopefully, then, Howerton will be able to return to the show full-time next season.